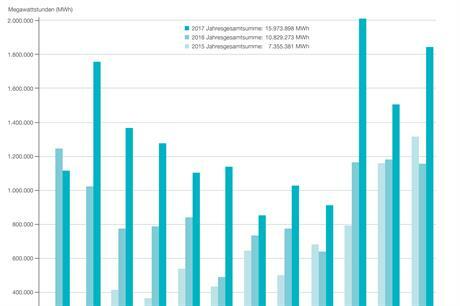 GERMANY: The country's offshore wind capacity in the North Sea generated almost 16TWh of electricity in 2017, an increase of 47% year on year, transmission operator Tennet said. The 15.97TWh produced in 2017 was up from 10.83TWh in 2016, and more than double the 7.36TWh produced in 2015. "The positive trend from the first half of the year has been confirmed, and the strong growth in the North Sea wind harvest shows that offshore wind power has become an important energy source with high reliability," said Tennet board member Lex Hartman. Tennet said production in 2017 was split evenly between the two halves of the year. In the first six months, offshore wind sites produced 7.77TWh, with roughly 8.2TWh then produced in the second half of the year. 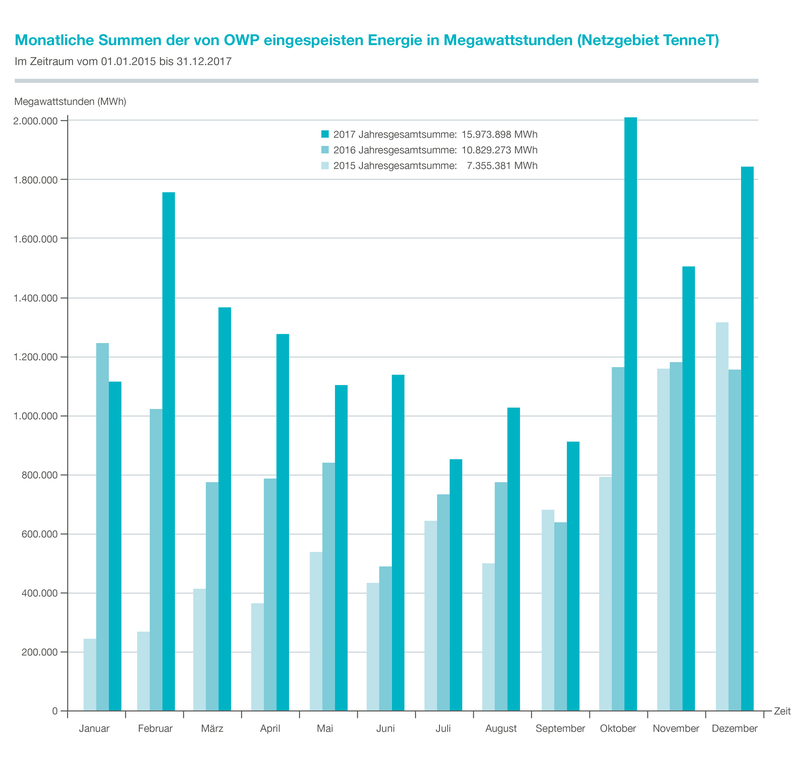 Monthly production levels from Germany's North Sea offshore wind projects in 2015 (lightest blue), 2016 and 2017 (darkest blue). Click to enlarge. "This underlines the continuity of wind energy production in the North Sea throughout the year, which only declines [slightly] in the summer months," Tennet said. Tennet said Germany's North Sea offshore wind capacity stood at 4,687MW at the end of 2017, but the operator has the grid capacity to transport 5.3GW, across ten transmission networks. Transmission capacity is expected to rise to 7.1GW by 2019 and 10GW by 2025.